Something I always found frustrating here in Japan was the tendency for people to use single use plastics in the name of convenience. Pop into any 7-11, Lawson's or Family Mart (or other convenience store of your choice) and purchase a food item that needs to be eaten with an implement, and you'll get that implement automatically put in your plastic bag (ugh!) without even asking for it. If you're not fast enough to notice them doing it - the staff seem to be in stealth mode a lot of the time - you end up with a pretty sad collection of plastic cutlery accumulating at home. Adding to the negative environmental impact, those plastic cutlery items or wooden chopsticks are wrapped in plastic themselves. Sounds nice from a hygiene perspective, but you only have to read up about things like the Great Pacific Garbage Patch to realize that an over reliance on plastics is suffocating Mother Nature one plastic fork at a time. 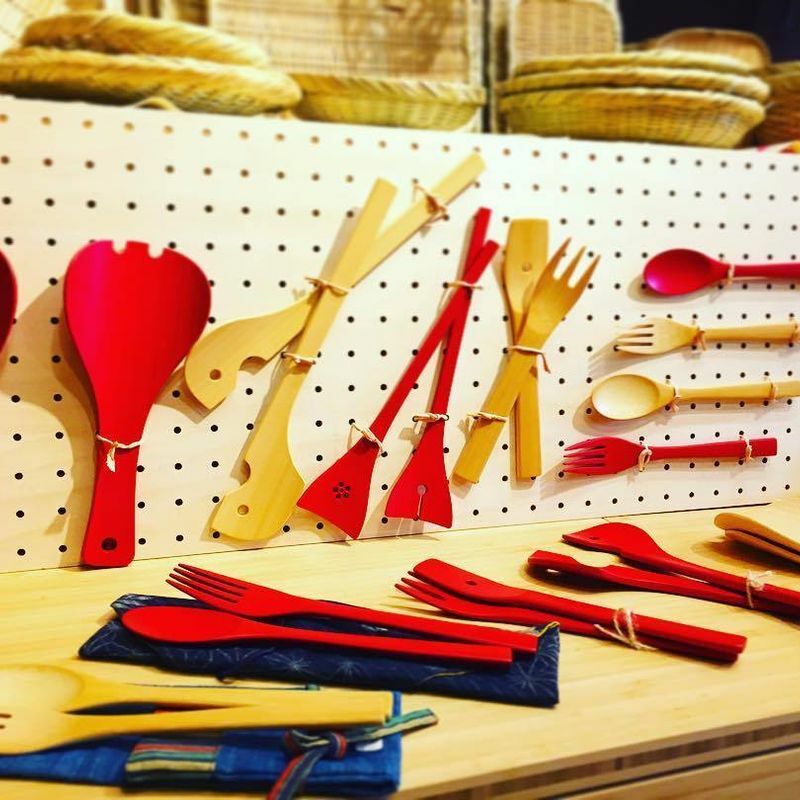 Beautiful, artisan created bamboo cutlery - I've seen these and other similar products at various stores in Japan. It surprises me that in a country that has such a connection to bamboo plants, that the use of bamboo cutlery isn’t a bigger thing. Certain varieties of bamboo can grow almost a meter in height over a 24 hour period, and the plants themselves are often seen as a sign of prosperity here in Japanese culture. A big benefit of using bamboo cutlery is that it’s still light and portable, but is 100% biodegradable. Compare that to plastics, which take hundreds or even thousands of years to break down in some cases, and it seems like a no-brainer switch. Bamboo is an iconic plant in Japan. 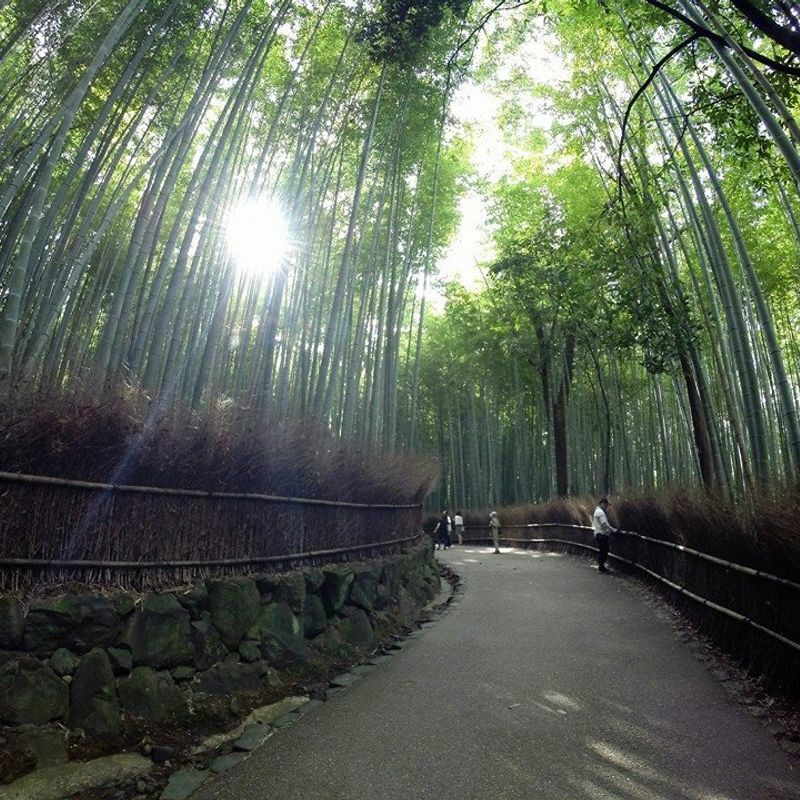 It's seen as a symbol of prosperity and even serves as a tourist destination, such as the bamboo grove in Arashiyama pictured above. It’s also a great alternative material for cutlery instead of single use plastics. 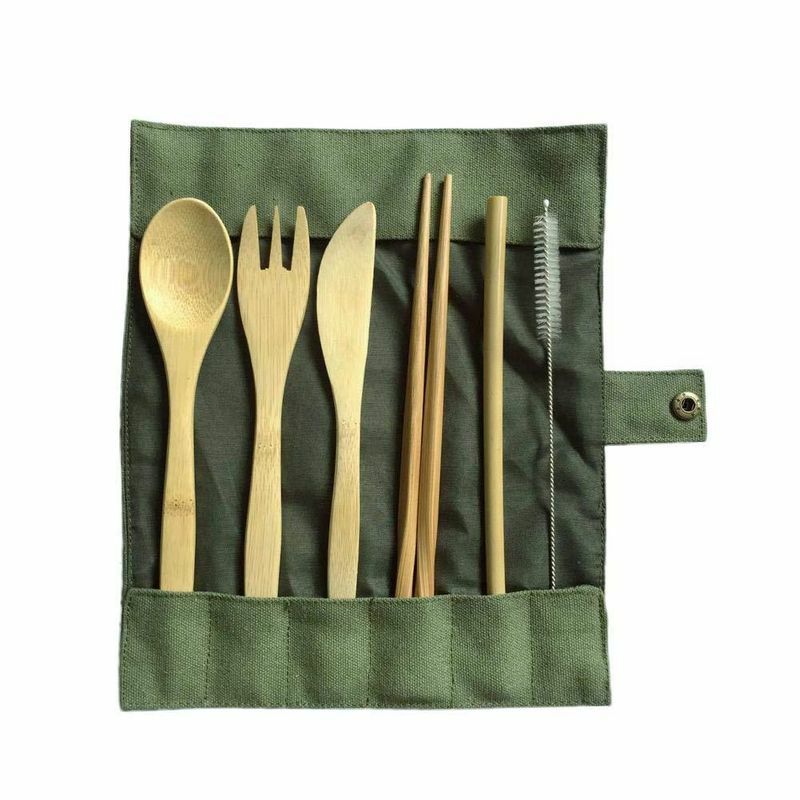 I’ve seen some bamboo cutlery in specialty artisan stores in spots throughout Japan, but there are also sets that you can purchase off Amazon Japan if you want to go down that route. 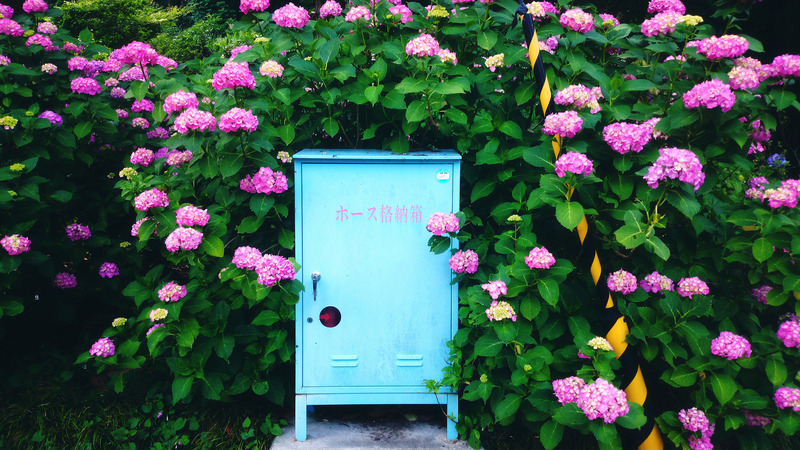 There are some great reminders at the article here about how to use Amazon Japan responsibly from a sustainability perspective. Most of the sets available on Amazon Japan come with a pouch or cloth bag to carry your implements in, making it super easy when you’re on the go! This set, for example, contains a bamboo knife, fork, spoon, set of chopsticks and even a bamboo straw with a bristle brush to clean it with. This set costs under 1000 yen and has everything you need to enjoy your on-the-go eats without single use plastics. If you haven’t already, I recommend looking into reusable options for cutlery. It may seem like a small token step, but if you regularly purchase food from convenience stores or supermarkets to eat on the go, you’ll be helping the environment and cutting down on single use plastics that just end up in landfills or waterways.